I logged into my Steelhead to find that the system was degraded. Clicking on the degraded link, I could see there was an obvious issue with one of the disks. I opened a ticket with Riverbed Support and they sent out a disk right away. Between support and myself, there was an instructional disconnect, which set the stage for this post. A system dump, FTP’d do them, which can sometimes be a pain but they require it. And here’s what you’ll have to do when you have the disk. The drive is NOT hot swappable. Do not learn this the hard way. Power down your machine first, unplug it, swap out the drive, then power it back up. When the device comes back online, it will show as degraded still. You’ll need to SSH into the box to make the drive active again. The number of the disk that failed. I had four disks numbered 0,1,2,3 and disk 3 had failed. Open SSH, using puTTy or something similar. I didn’t have to enable SSH by default, you should be able to use the IP address or the host name if you’ve added it to DNS. At this point, your name should be “hostname (config) #” – The (config) means you’re going to be making changes in the right place and the # means you’re in an enabled mode to do so. 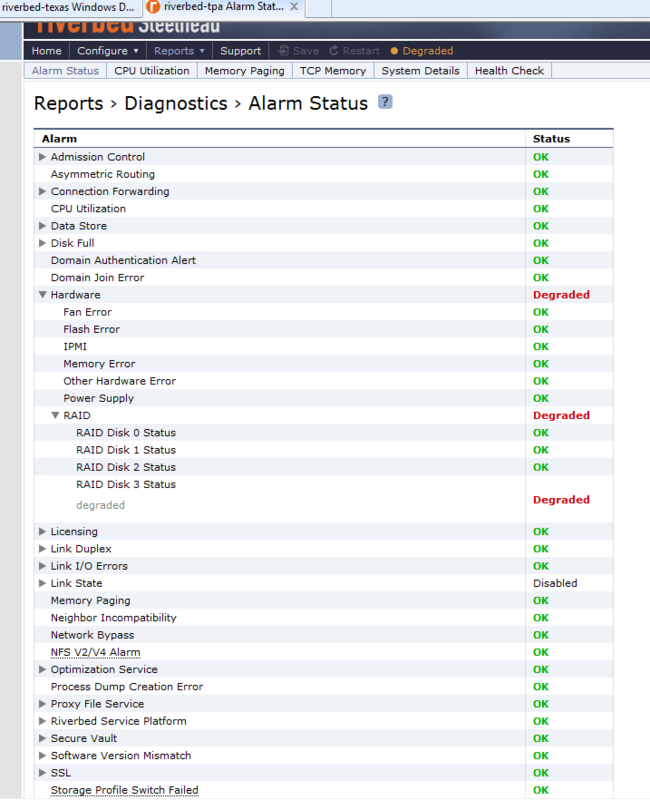 Log back into the web interface and you should see the status as rebuilding instead of degraded and failed. It took about 12 hours for my disk to fully rebuild overnight. 250GB Disk. Eventually, if your mail is set up, you’ll get an email saying the RAID issue has cleared and you’ll be back to a healthy status. Let me know how this goes for everyone else.